The alchemists of the Discworld have discovered the magic of the silver screen. But what is the dark secret of Holy Wood hill?It's up to Victor Tugelbend ("Can't sing. Can't dance. Can handle a sword a little.") 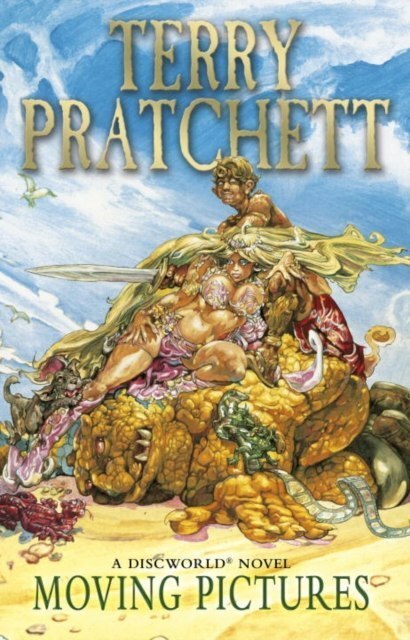 and Theda Withel ("I come from a little town you've probably never heard of") to find out... Moving Pictures, the ninth Discworld novel is a gloriously funny saga set against the background of a world gone mad!